Fabulous Outdoor Animal Shaped Recycled Metal Side Tables! Fabulous Handcrafted Recycled Metal Animal Shaped Tables for Sale! You know that I am ALWAYS looking for the coolest furniture online being sold, but nothing had prepared me for this! My two favorite things combined in one! I LOVE metal animal sculptures and I love cool tables! 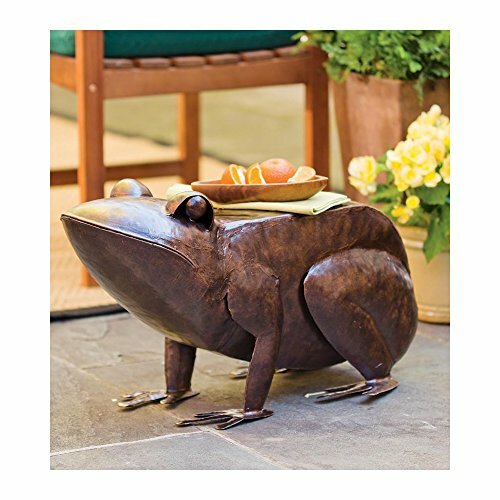 *Yes, this is a cute recycled metal frogs table for sale! It was all handcrafted with recycled metal and it looks beyond adorable! Get ready now, because you haven’t seen anything yet! There are many more to come! Are you ready to pick an awesome animal shape outdoor metal table for you today? I bet you were never expecting to see a cute and happy green frog climbing a lotus metal table!! As you can see it is totally handmade from iron and it has a beautiful powder bright green finish too! 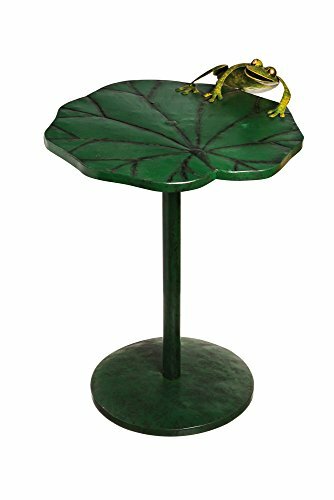 It is a another awesome frog shaped metal table for sale!! One of the coolest and most realistic animal shaped metal side tables so far! I love his huge frog eyes! He seems he is about to leap away carrying all your drinks! Popular Outdoor Recycled Metal Side Tables for Sale! Who wants to chill next to a cute metal goat? You can also use it to hold your cool drink and a snack on his back! 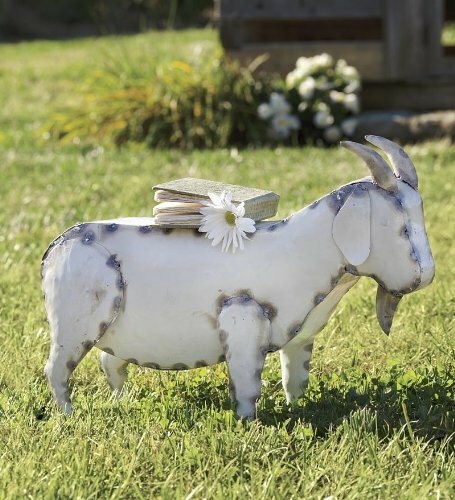 I bet your neighbors and friends will want to take lots of pictures by this cute goat! You can have your very own ‘recycled metal zoo’! He is adorable and very entertaining! 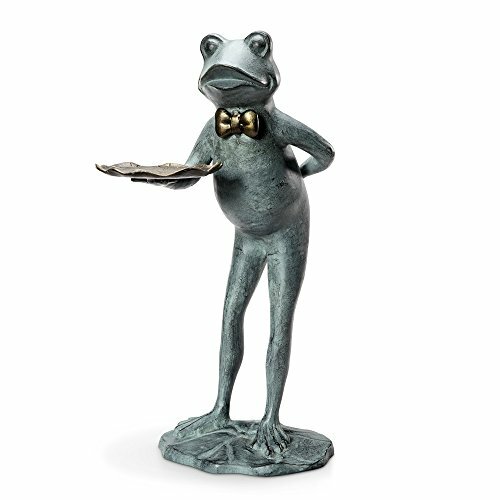 Very Unique Standing Frog Butler Metal Side Table! It is a gorgeous standing metal frog butler garden table for sale! It has a beautiful verdi finish! 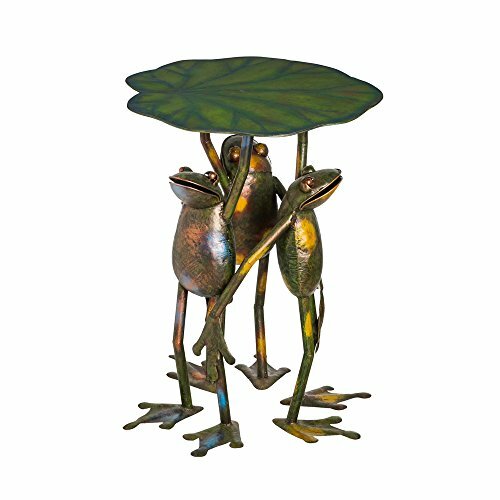 If you like frogs, then this is definitely your cool metal table! Things are getting better and better around here, aren’t they? 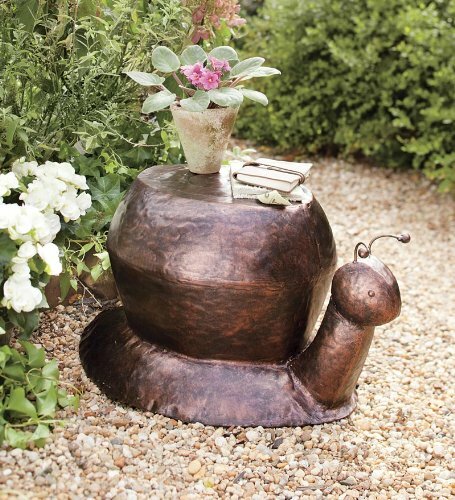 A very cute and very unique snail shaped metal table for sale! 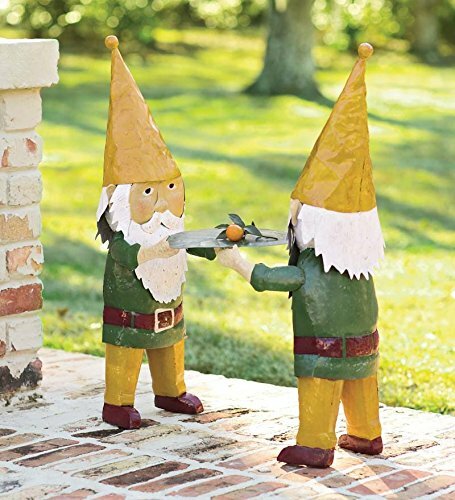 What a cute metal gnomes side table for sale! They have lovely fun colors and they are super happy to serve your drinks! I love the very cool ‘distressed’ finish too! Of course I wouldn’t forget all my fellow flower lovers out there! 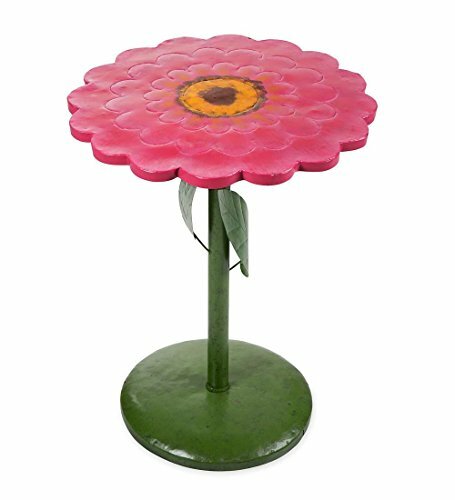 A cute pink metal flower table for sale! 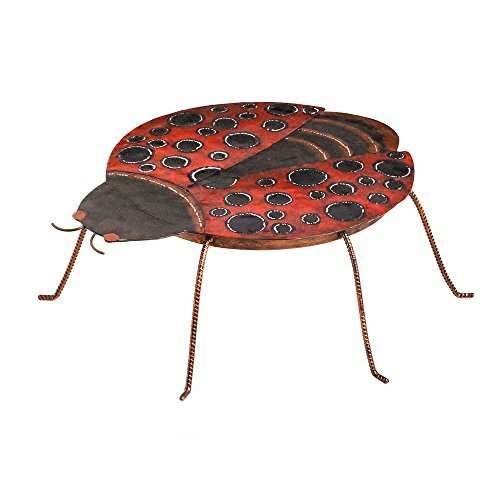 Cute Rustic Lady Bug Shape Metal Table! I am so mesmerized by these amazing recycled metal animal side tables! Can you believe I just found a cute ladybug table too? Perfect to place your favorite snacks while she serves you a nice and cool beverage! *Did you find the animal shaped metal table you were looking for today? Here are some more amazing metal sculptures and animal sculptures for sale!